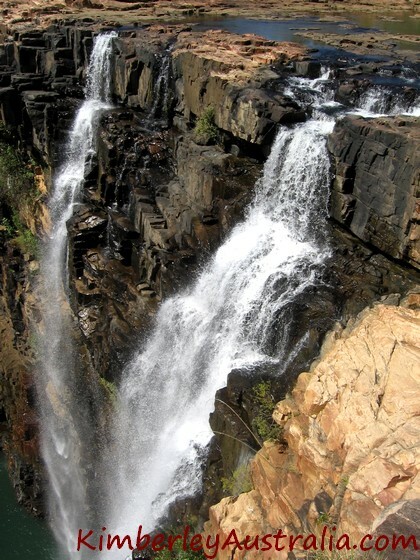 The Mitchell Falls are among the most photographed attractions of the Kimberley. I took the photos you see on this and other pages after a fabulous wet season when the falls were at their most splendid. But trust me, no photo could ever do this place justice. The standard shot of the Mitchell Falls. The Mitchell Plateau is special not only because of this waterfall. Simply getting there is an adventure in its own right with much to see and do on the way. Getting to the Mitchell Plateau takes some time and dedication, it's an adventure in its own right, and it's worth it! 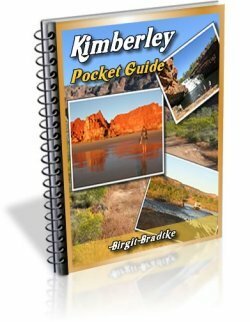 There is so much else to discover and do that I recommend you spend more than one night at the campground at Mitchell RiverNational Park (or the King Edward River). 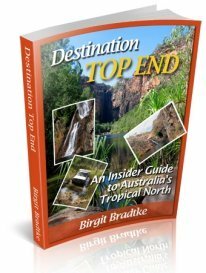 Sure, you could see the falls by taking a scenic flight from Drysdale Station on the Gibb River Road instead. But you'd miss out on a lot! This is one of the other waterfalls on the Mitchell Plateau. 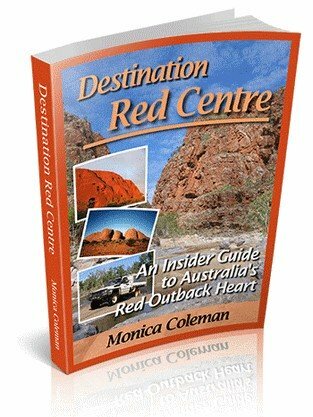 About the Mitchell River National Park: Background information, history and ecology. The Mitchell Plateau: Visitor information, getting there, camping, scenic flights. Photos of the Mitchell Plateau Track: Getting there is an adventure! The hike to the Mitchell Falls: Enough to do here to spend a full day! And more photos :). Pictures from the Mitchell Plateau. 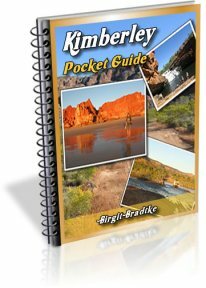 Trip reports and questions from other readers. Who Could Make Time For This Trip? Or maybe you did the helicopter ride and loved it? Do you have a great aerial shot? What did you think about the drive, the campground, the walk? Other readers would love to hear your tips and read about your experiences, so please share them with us. Does anyone know if you can still go up and camp at Crystal Creek? Off road camper to Mitchell Falls? 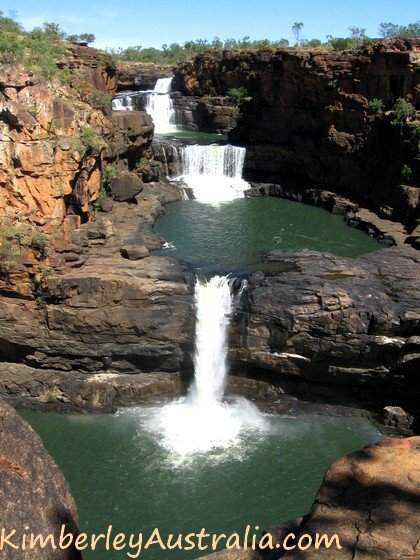 Can we take an offroad campertrailer to the Mitchell Falls? Is Mitchell Falls at the beginning of November worth it ?